Food packaging has a become a target in the world of sustainability and environmentalism. Walk down the aisle of any supermarket or look in your own shopping cart, and you’re likely to see package after package made from petroleum-based plastic. A few resourceful scientists and engineers have chosen to tackle the problem, including designer Margarita Talep, who has developed an algae-based alternative to plastic. 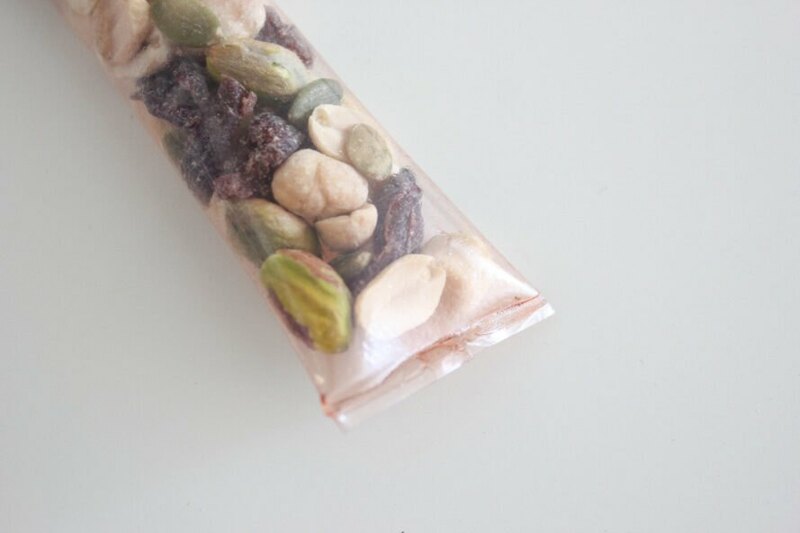 With the short lifecycle of most packaging, Talep wanted to create a material that would stand up to the task of holding food and other products but break down quickly once it hit the waste stream. Agar, a gel-like substance sourced from seaweed, is not new to the food world, as it is commonly used as a food thickener. With that understanding, Talep heats the agar to create a polymer and then adds water as a plasticizer and natural dyes for color. To achieve the goal of all-natural ingredients, natural dyes are sourced from fruits and vegetables such as beets, carrots, blueberries and purple cabbage. After the mixture of agar and other ingredients is heated, it is cooled, a process that transforms it into a gel. At this point, the mixture is turned into thin plastic or poured into molds to cool. By adjusting the ingredients, Talep has created a firm material that will mold into shapes, such as the trays that a package of donuts sit in. 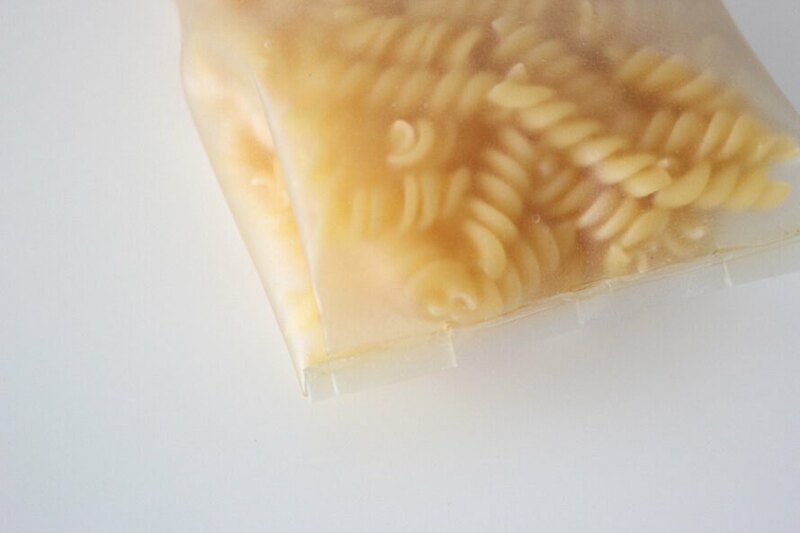 The technique is versatile enough that it can also create a replacement for plastic bags, like those pasta is sold in. With the overarching goal of replacing single-use, disposable packaging, the algae packaging breaks down naturally within two to three months during warm summer months, depending on the thickness of the material. In the colder winter months, the material still breaks down, but requires a few extra weeks. 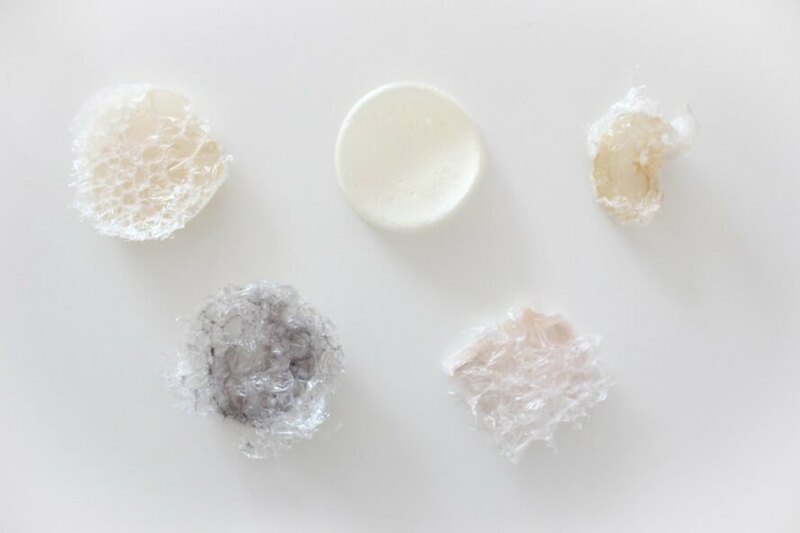 Designer Margarita Talep has created an innovative alternative to plastic packaging. Talep uses agar, a substance from seaweed, to make the bioplastic. By shifting the ingredients, the material can mold into various shapes. Natural dyes are used to give the plastic alternative different colors. The material is versatile enough to serve as a bag for pasta. 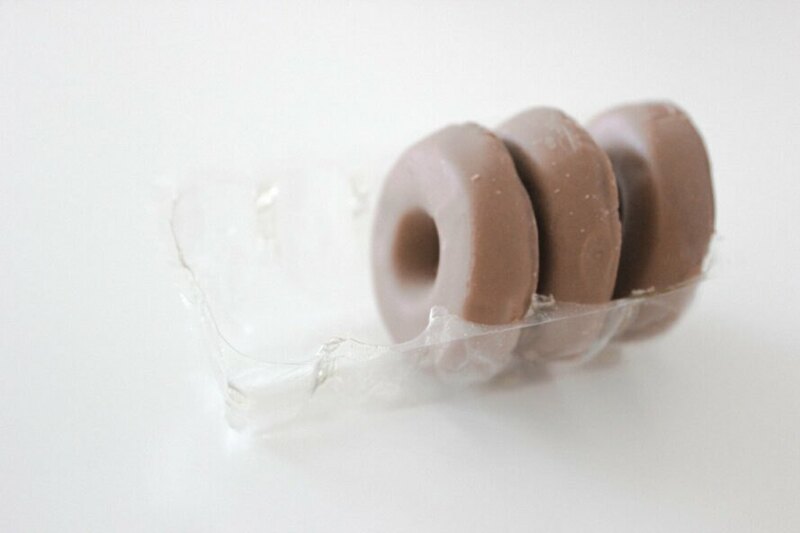 It can also be molded into a tray for donuts. The plastic alternative biodegrades in just a few months.